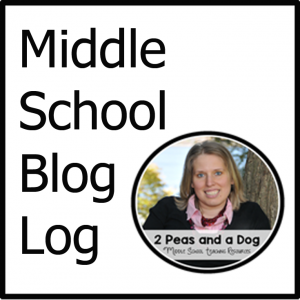 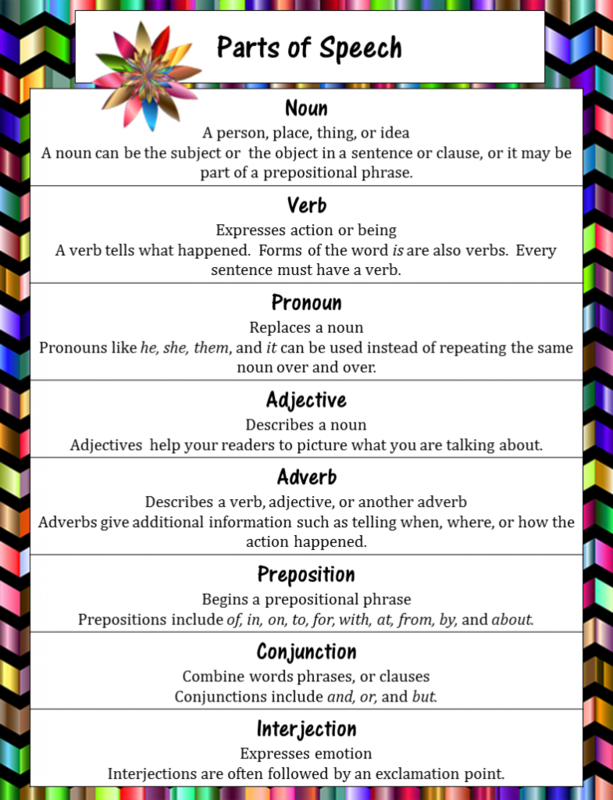 Since I’ve been working on some new resources for using parts of speech lately, I thought it might be a good time to post a couple of anchor charts. 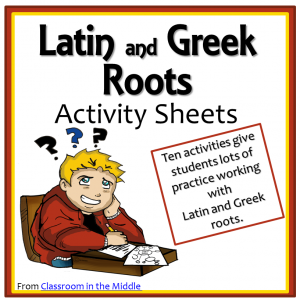 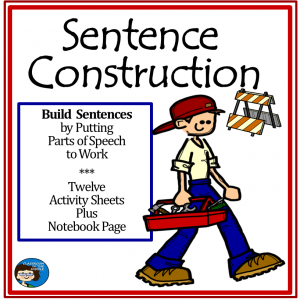 I made two different charts – both define the parts of speech but one includes a little more information and the other includes fill-in-the-blank sentences as examples of each part of speech to make the charts interactive. 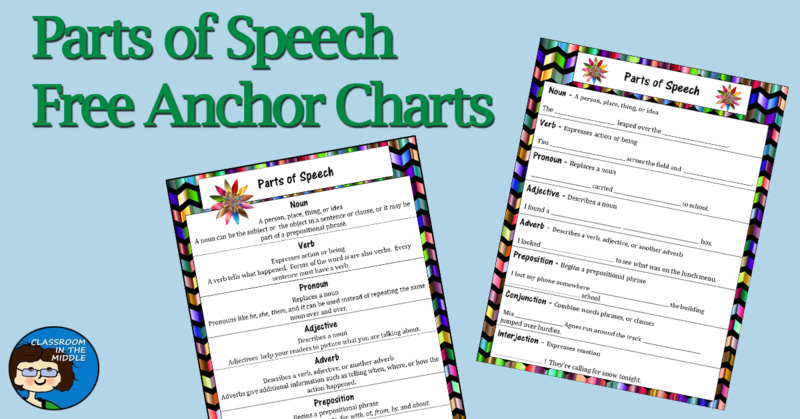 You can download a pdf with both free charts here:parts-of-speech-charts. 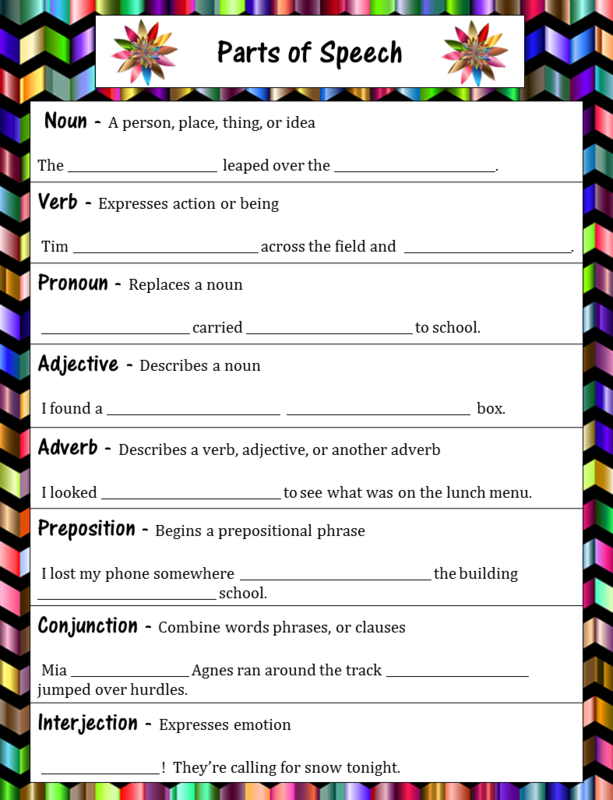 These are one-page charts that would be great in student notebooks or could also be posted in the room as a handy little reminder for the kids who forget what one or the other part of speech actually is! 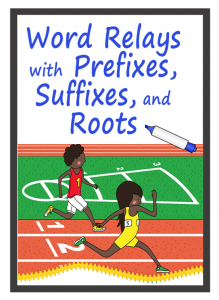 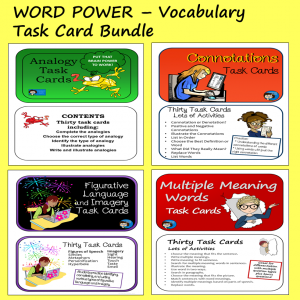 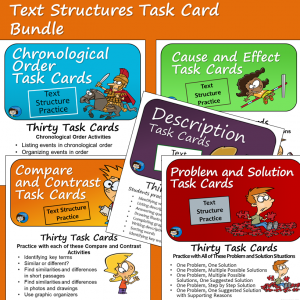 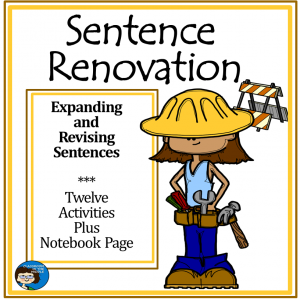 You can see all of my Grammar and Parts of Speech Resources at my Teachers Pay Teachers Store, including my newest ones – a set of practice activities for not only identifying the parts of speech, but mainly using then in a variety of ways in students’ writing and a somewhat more challenging set of activities about revising sentences using the parts of speech.